Japanese Betty Bombers in World War 2, One of a kind Historic Photos. Look at these other Betty Bomber Exhibits Below. Click Here to go to the Japanese Surrender Home Page. A correction to the information regarding the Betty. The G6M1-L "Bataan 1" is what crashed onto the beaches short of Japan. The second Betty is the G4M1 "Bataan 2" made a successful return to Kisarazu on 21 August 1945, and was destroyed in late 1945. The last photo seen is from Broken Wings of the Samurai by Robert C. Mikesh and dated 25 Sept 1945 with a caption describing that it was destroyed "shortly" after the picture was taken. If you catch word on any surrender items for sale from Ie Shima, Manila, or any photographs of the Green Cross aircraft too, please let me know as I'm willing to pay for these to add them to my own collection, and obviously to share them as well. It is my hope that I can eventually create one of the most comprehensive photo documentaries of the green cross aircraft. If memory serves, neither of these Betty Bombers still exist. One crashed on the return to Japan and the other made a forced landing. Both airplanes were war wearies and so were expendable. The green surrender crosses and white paint job were ordered by MacArthur's headquarters, as were the call signs used. The story about those two planes are told in two books. The most common of the two is "The Rising Sun" by John Toland and the other, hard to find but still around is The Fall of Japan, by William Craig. If I understand correctly you are looking for information on what happened to the Bettys that were used as the two Japanese surrender planes. I do not know but I do have a motor plate that my late father brought back from Japan He said he had removed it from a Japanese surrender plane. 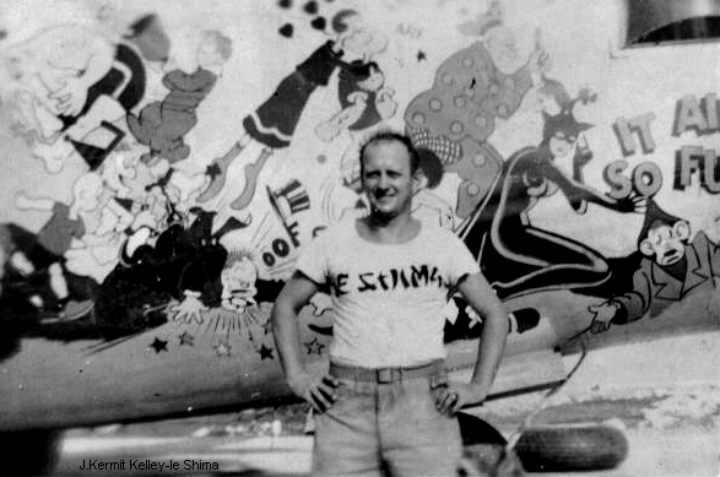 The plane was painted white with green crosses and he said it transported Japanese at document signing at the end of the war. He said soldiers were taking all the parts off of it. Dad was Signal Corps and put up communications so that the planes could land in the Philippines, Japanese islands, and Japan. I know Dad was in Tokyo but I do not know about le Shima. I do not know if the plane in the water was later taken to it's destination of Tokyo. If you find out what happened to them would you please let me know. I will certainly let you know if I find any information. The motor plate is written in Japanese and Dad has scratched some letters on the back of the plate, starting motor, and bomber I think he letters may be letters from the outside of the plane. They are American letters. Is there any place I could check these letters to see if they are registry for one of the surrender planes? Click here to see Many more Japanese Fighters and Bombers. 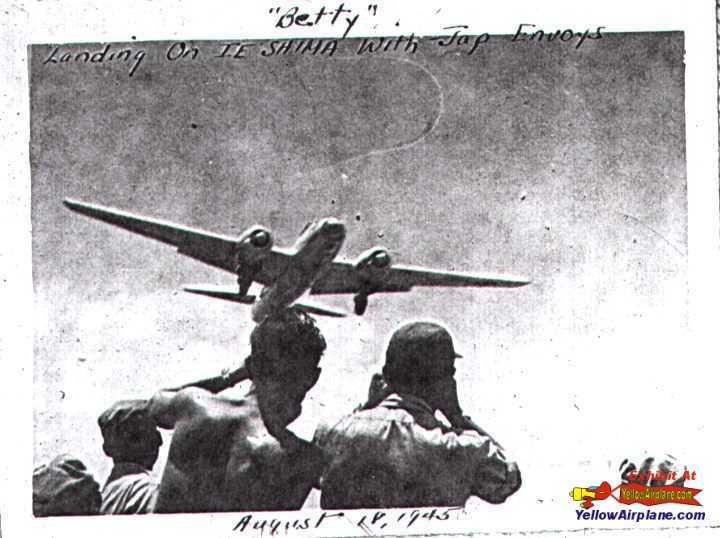 Click Here to see the Betty Bomber Japanese Surrender Exhibit. Plot Outline A hard-as-nails general takes over a bomber pilot unit suffering from low morale and whips them into fighting shape. Plot Synopsis: In this story of the early days of daylight bombing raids over Germany, General Frank Savage must take command of a "hard luck" bomber group. Much of the story deals with his struggle to whip his group into a disciplined fighting unit in spite of heavy losses, and withering attacks by German fighters over their targets. Actual combat footage is used in this tense war drama. 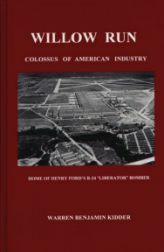 The true story of the building of the B-24 Liberator World War 2 Bomber. The Willow Run factory was the largest factory every built and produced a B-24 Liberator every 58 Minutes. This is a book that you must read, it's great. Here's the New Ernie Pyle Exhibit. Watch these Other Links to See Where Your Kids are Heading.